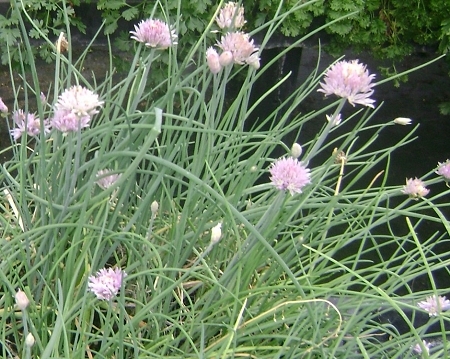 Regular onion chives. Wonderful onion flavor adds interest to omelettes, salads, vegetables, baked potatoes, or as a garnish. Pretty purple/pink flowers when in bloom are also edible. Perennial zones 3-9. Live starter plant in 3 inch container.